Franck Vaillant was born in Paris in 1972. In his early teens he ad-libbed as a rock guitarist before the drums came to him as a revelation (when he was 17 he saw Buddy Rich guest on The Muppet Show). His later heroes were Daniel Humair, Bill Bruford, Tony Williams, Christophe Lavergne, Marvin Smith, Stéphane Galland, Jack Dejohnette, Cyril Atef, Elvin Jones, Chander Sardjoe, Eric Gravatt and Steve Argüelles Ianik Tallet, Umayalpuram K. Sivaraman, Roy Haynes, Tomas Haak, Christian Vander, Ringo Star, John Bonham, Tim Alexander, Dave Lombardo, and many more, ,who, together with their respective bands, inspired Franck to try his hand at all types of drum-sounds. He's a creative musician who adds a personal touch to the output of everyone he works with, and he really knows how to use the different "colours" that a drum-kit has to offer: rather than have us just tap our feet while we listen to him, he adds colour to the music like a percussionist. Words and song had an early attraction for him, and he played with the Varans de Komodo, Kabal, Arthur H, Fred Poulet and Jeanne Balibar, not to mention occasional outings with Alain Bashung, Katerine, Brigitte Fontaine, Izia or Franck Monnet. For over four years (and more than 400 concerts) Franck took part in the Rock/World Music adventure of the Anjou group LO’JO, the band formed in 1982 which, with ten albums to its credit, has acquired an even stronger reputation abroad than in its native France (British daily newspaper The Independent labelled them "Best Live Group"). In the Jazz field, that group spirit continued with Print, Thôt Agrandi, Caroline, Wonder Brass Factory, Yves Robert, and Benzine, his own group, which has drawn excellent media coverage (from Jazzman, Télérama, Libération, Jazz Magazine, La Terrasse, Les Echos, L’Express)... not to mention Free-Rock with “69” and numerous other groups with whom he has appeared (among them, Magic Malik Orchestra, Kartet, Speed Caravan, L’orchestre de la Lune, Urban Mood, Eric Marchand, Rodolphe Burger, Laurent Dehors, Vincent Courtois or Marc Ducret. For several years now, Vaillant has appeared on Paul Ouazan's shows for the research-workshops organized by Arte France, and played with Mark Thomkins, Dave, Brad Scott, Mami Chan, Fred Poulet, Elise Caron and Albin de la Simone... not forgetting the Underground adventure of the Slam planet, with appearances at the Bouchazoreilles soirées, duets with his old friend D’ de Kabal, or the new Harragas Trio led by Abd el Haq. Finally, he's also a composer, with a few film-soundtracks to his credit as well as pieces for his own group, Benzine, including "electro" music for the band's electro-Situationist version, with guest-artists such as Benoit Delbecq, Cyril Atef, Magic Malik, Yves Robert, Olivier Py, Jean-Philippe Morel or Airelle Besson. 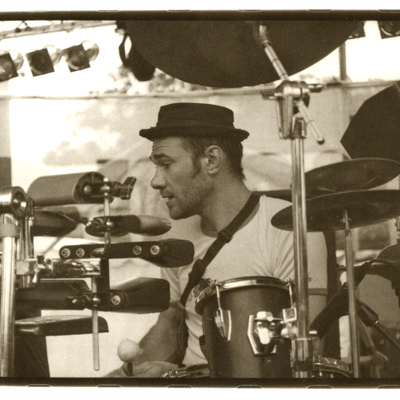 Whether as a drummer, as a composer or as an arranger, Franck Vaillant is above all a musician who loves adventure, and in ten years Vaillant has recorded more than thirty CDs and played almost everywhere in the world. The Benzine group comprises Jean-Luc Lehr on acoustic and electric bass, Guillaume Orti on alto saxophone and keyboards, with Jozef Dumoulin playing piano, Rhodes piano and combined electronics. All of these highly-talented musicians come from the most experimental fringes of jazz, and have played with the likes of the Magic Malik Orchestra, Reggie Washington, Erwin Vann Quartet, Octurn, Toots Thielemans, Aka Moon, David Lynx or the Belmondo brothers. They have performed all over the globe, and can be heard on an increasing number of records.